In Columbus, Ohio, there is one firm to turn to when difficult issues arise in the workplace or in the family. 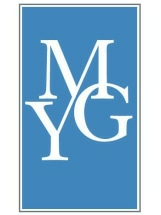 Mowery Youell & Galeano, Ltd., headquartered in Dublin, includes some of the brightest and most respected legal minds around. We pursue — and we obtain — the legal outcome you are after. We assist individuals who have been illegally discriminated against on the job, on the basis of age, disability, race, pregnancy or other protected classes. And we advocate for plaintiffs in the employment law areas of wage and overtime, misclassification, whistleblowing, employment contracts, and noncompete and severance agreements. Though not every employment law case goes to trial, we prepare as if they will. Administrative bodies and competing firms know our reputation for thoroughness and our knowledge of relevant case law. We work to resolve differences without contention, but we are always ready to take your case to the next level. For more than a generation, our family law attorneys have guided clients through divorce and marriage dissolution, including such related issues as complex division of property, difficult custody and child support situations, modification of post-divorce decrees and the enforcement of court orders. We take the hard, emotionally charged cases that other firms pass on — because your future matters to us. Other Practice Areas At Mowery Youellen & Galeano, Ltd.
Our firm also advocates for you in business law and civil litigation. To discuss your current legal challenge, call to schedule a case evaluation conversation with one of the lawyers at Mowery Youell & Galeano, Ltd.